We are proud and excited to hold our RES 2019 Conference at the Paris Las Vegas Hotel & Casino from March 25th-28th, 2019. To ensure your room reservations for the conference be sure to book early. Enjoy their wonderful amenities and hospitality while attending RES at the special room rate. The availability of rooms is subject to change as the event dates approach. Be sure to book your rooms early to receive the best rate. Take advantage of the early RES discounts for Advance registrations at the same time! You may receive calls from telemarketers promoting hotel deals that are not affiliated with our event – DO NOT book with these companies. Please book your hotel room using one of the links below. You can also call for reservations at (702) 946-7000: Paris or (702) 967-4111: Bally's. When calling, make sure to specify the property you would like and be sure to reference "Reservation Economic Summit (RES)" to receive our discounted rate. Please note that NCAIED will never call you to sell you a hotel room or collect payment by phone. *Also please remember that if you do call to make a reservation you will be charged a $15 dollar service fee. Conferences like RES are attractive targets for fraudulent third-party companies who offer to rebook attendees’ hotel reservations in order to gain illegal access to their personal information. To protect yourself against identity theft, please book your lodging directly through the Paris website. 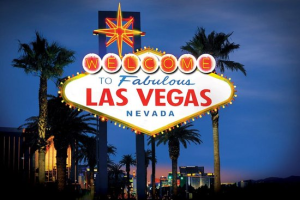 Explore Las Vegas attractions, casinos, hotels, sightseeing and things to do. It is one of the top tourist destinations in the world.